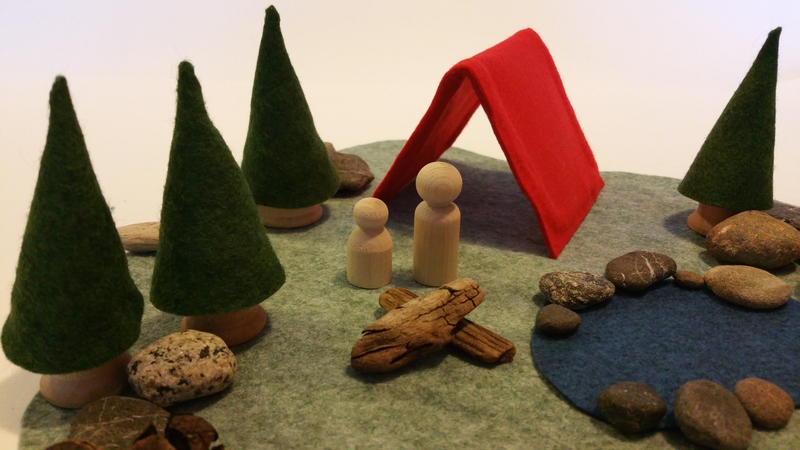 For the figures in my playset, I used “peg dolls,” simple people shapes cut from wood. 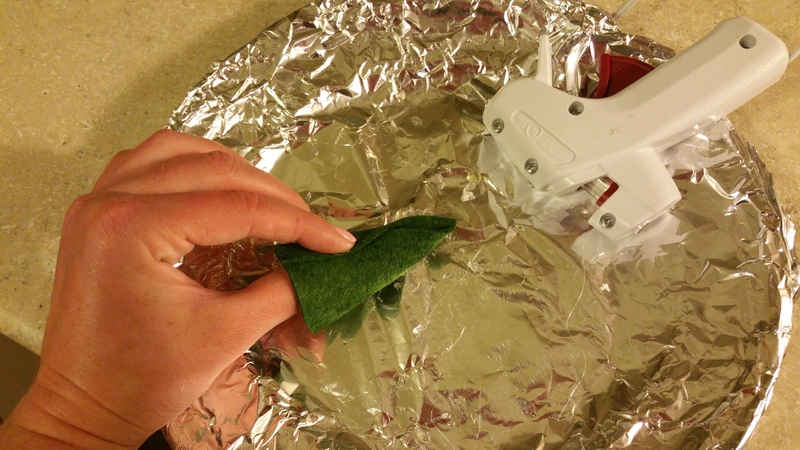 I left my people unpainted, but you could paint and decorate them too! 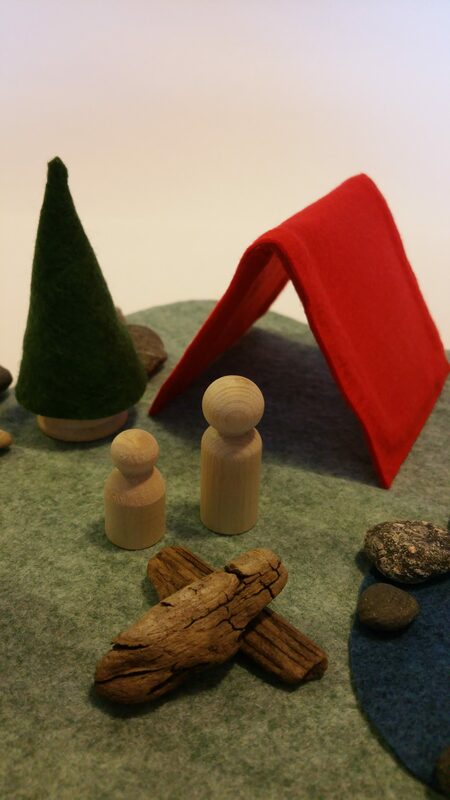 I used the smallest and second smallest sized dolls, like those in this set. 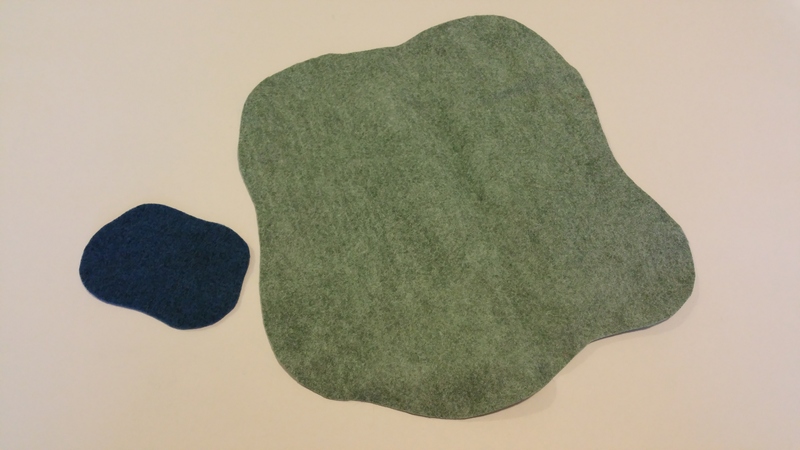 Next, I raided my felt stash for a large piece of green and a small piece of blue. 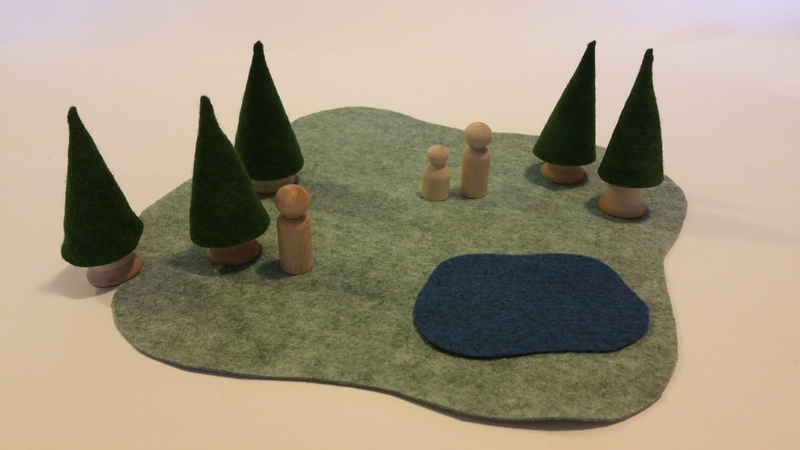 The green felt would become the “grass” base of the playset, while the blue would become a water feature. 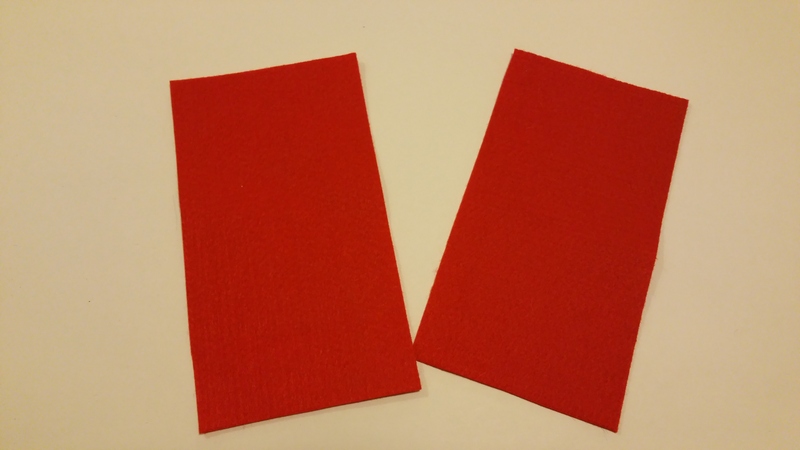 I used similar bases for both playsets! 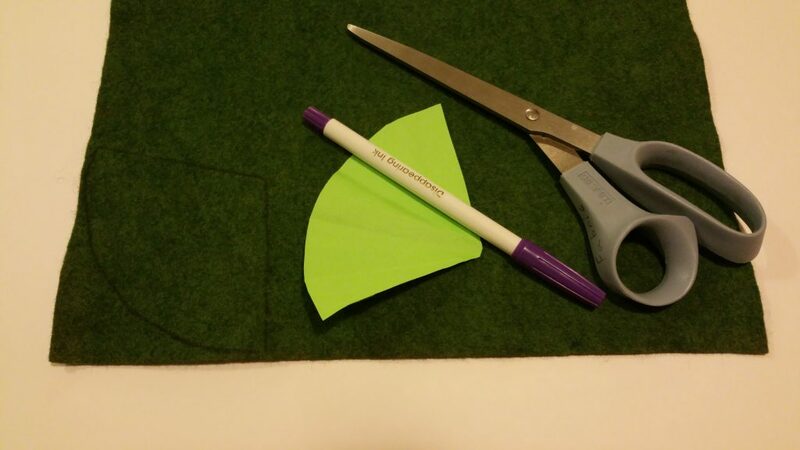 I traced the template onto dark green felt and cut it out! 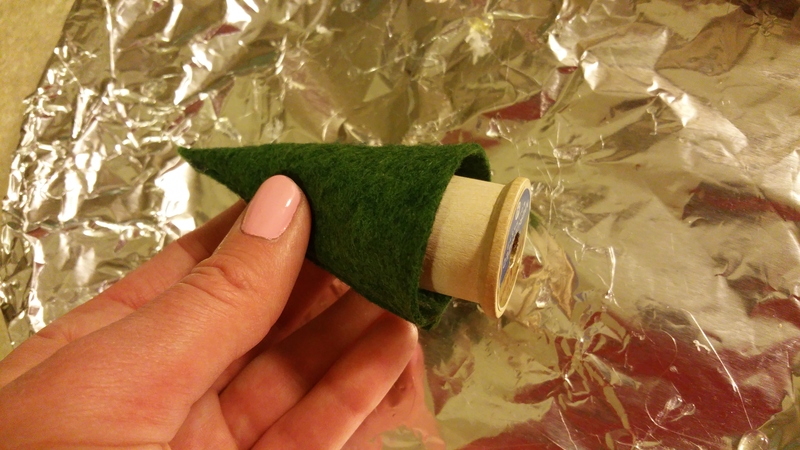 I used hot glue to carefully (and somewhat tediously) glue the felt cone together. 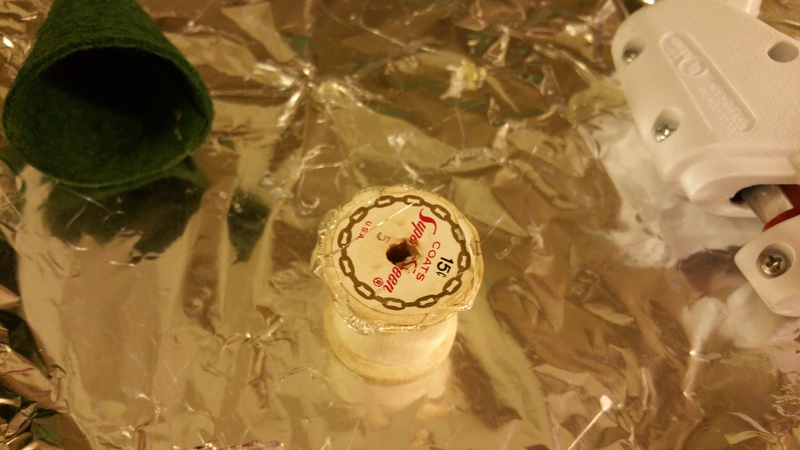 I coated the outer edge of the spool top with glue, then inserted the spool into the cone. 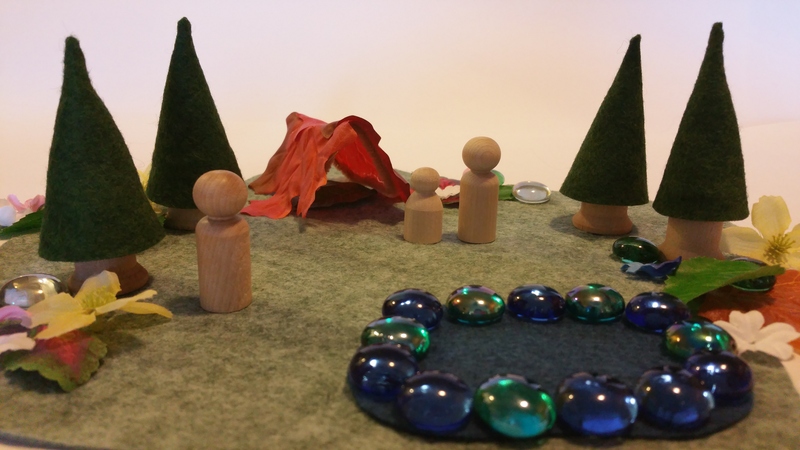 With the grass, water, and trees in place, our playset was ready for some peg dolls! Ta-DA! 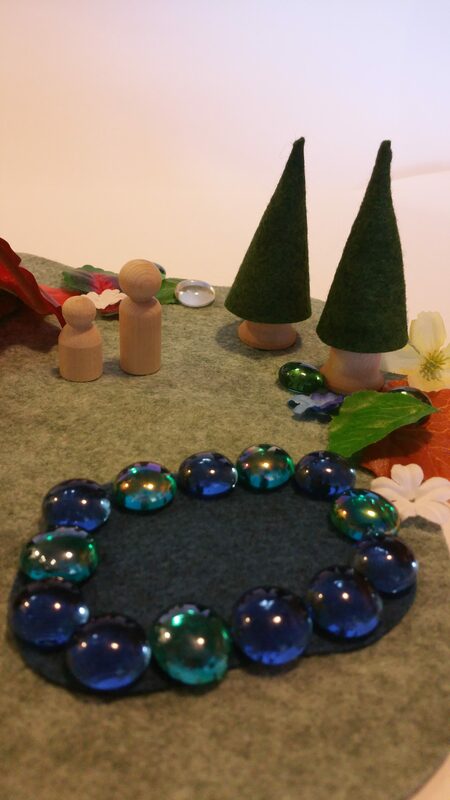 Although the playset was super cute as is, I added some accessories to add fairy charm! 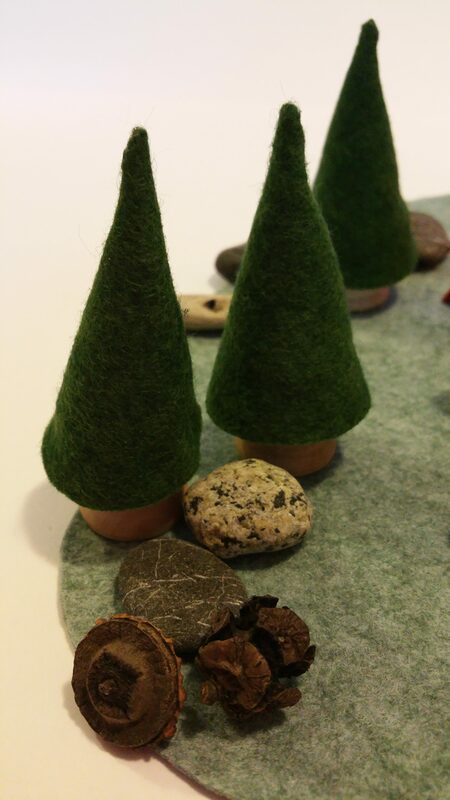 Firstly, those little peg doll fairies needed a place to stay! 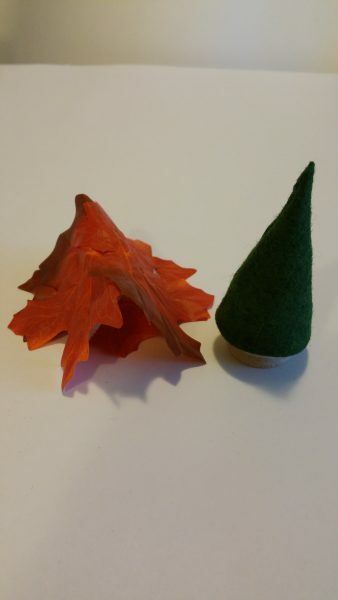 I used large silk leaves and pipe cleaners to make a tent. 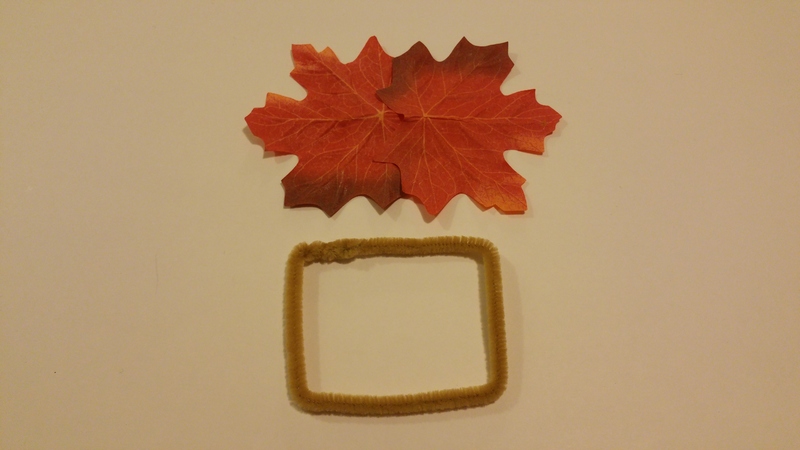 First, I glued the leaves together and bent the pipe cleaners into a square frame. 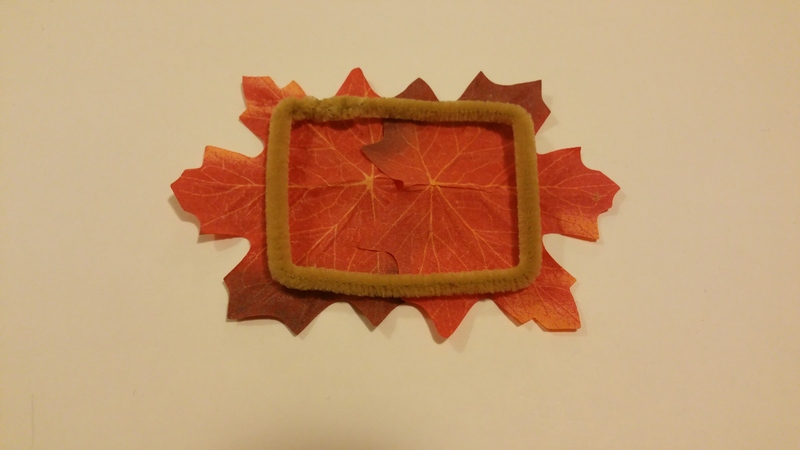 I then hot-glued the pipe cleaner frame to the leaves. 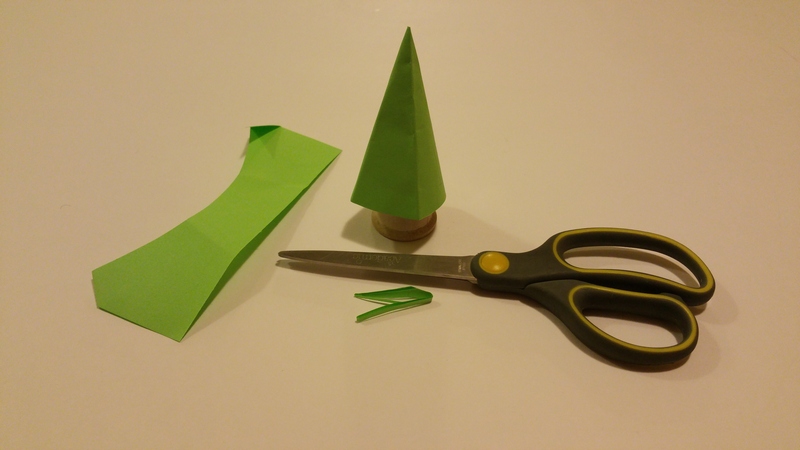 Once the glue hardened, I bent the tent into shape! 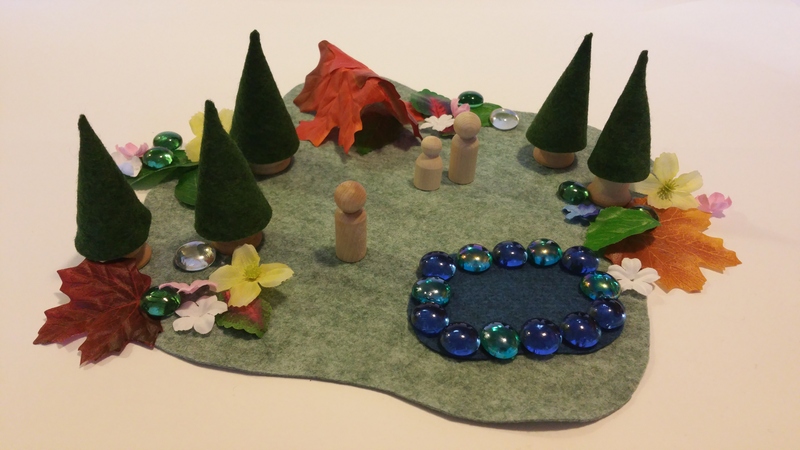 I added more silk leaves, silk flowers, and plant marbles to “fairy-ize” the playset! The fairy playset was so cute, that I couldn’t stop there! 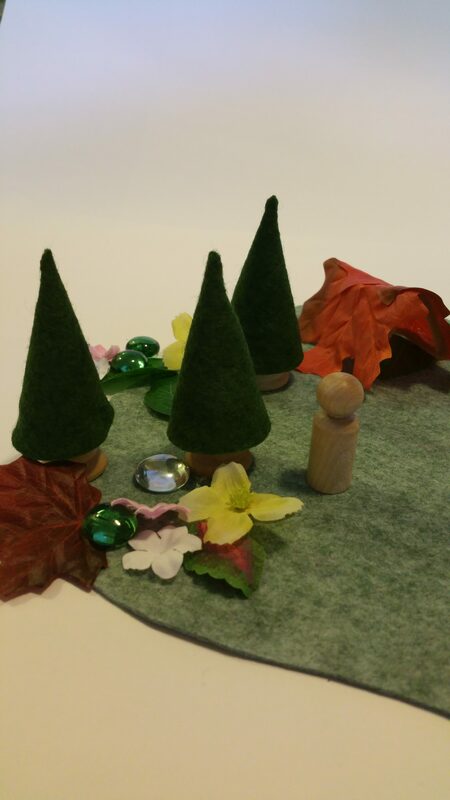 I used the same felt base and felt trees to make a camping set! 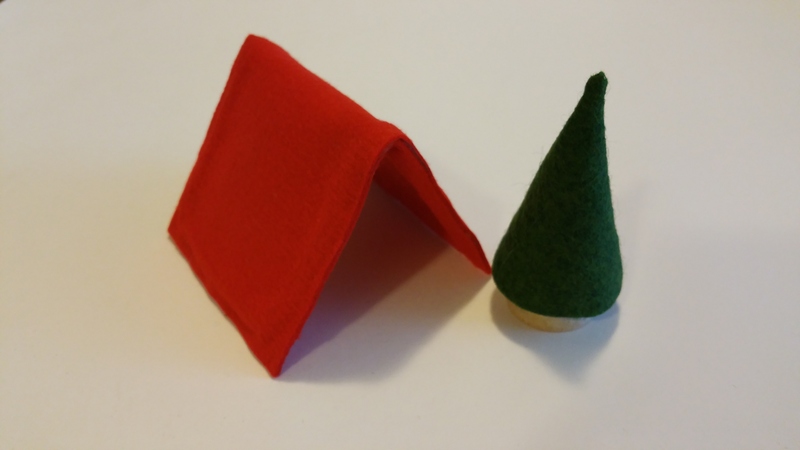 To make a tent, I cut two pieces of felt that were both 3.5″x7″ in size. 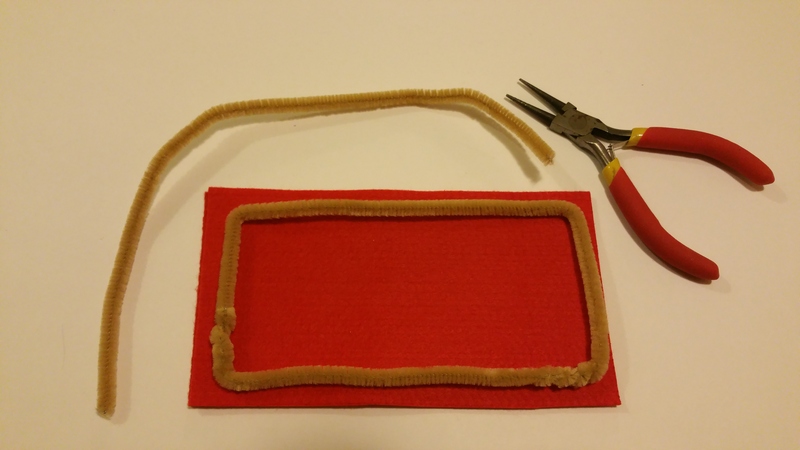 Next, I bent pipe cleaners into a rectangular frame and glued the frame to one piece of felt. 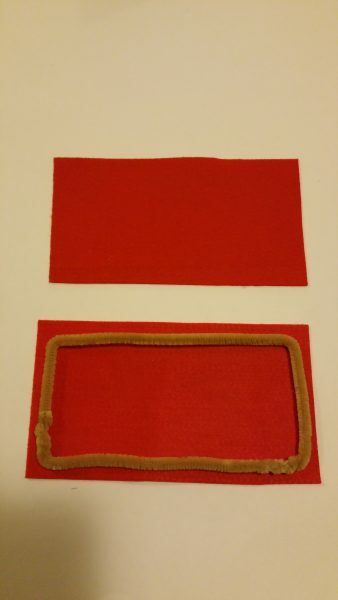 I glued the second piece of felt on top, sandwiching the frame in between the two felt pieces. 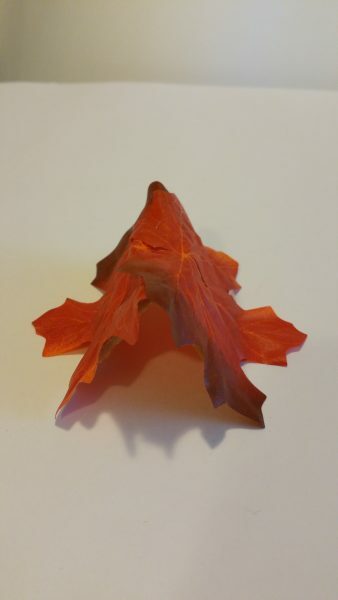 After the glue hardened, the felt could be bent in half into a tent shape! 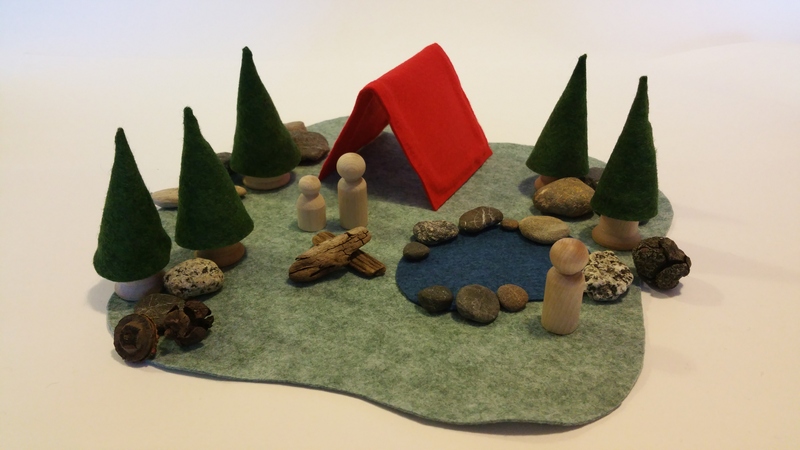 Small rocks, pinecones, and pieces of driftwood helped create a woodsy setting for the campsite! 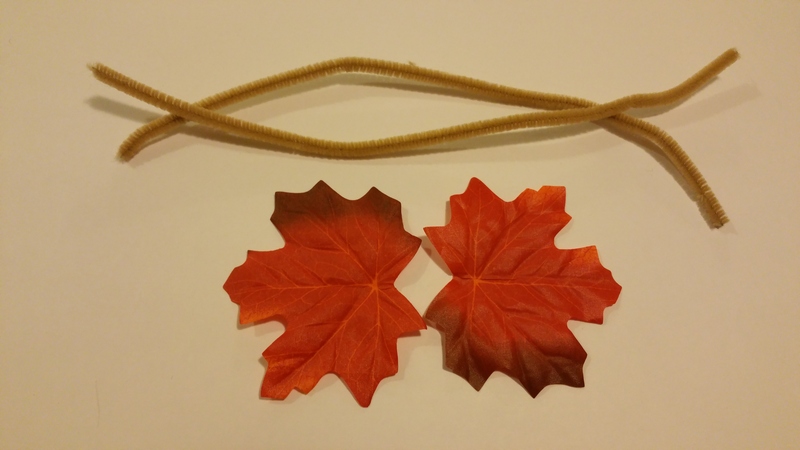 Hope the kids have as much fun playing with these sets as I had making them! There are so many more playsets ideas waiting to be created! 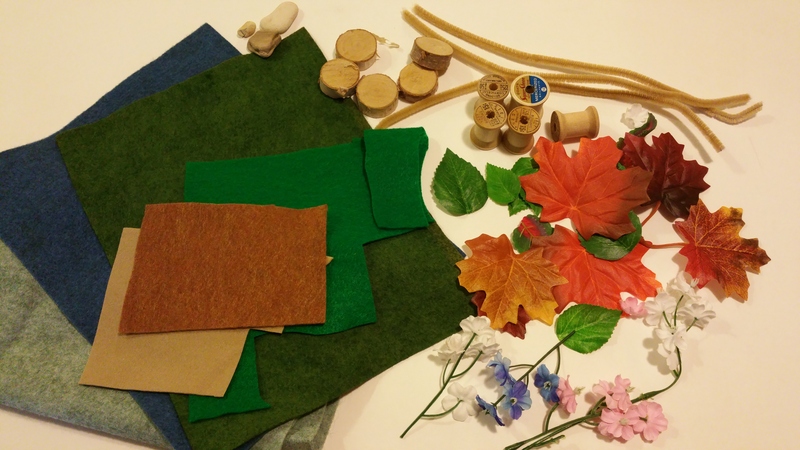 I may be making more soon… Here are some supplies to get you started!